Mik now has a new favorite place at the Magic Kingdom. He loves waffles, so I have no idea why we have always skipped past Sleepy Hollow before; but now that he has discovered it I am sure this will be a regular stop on our Disney World trips. 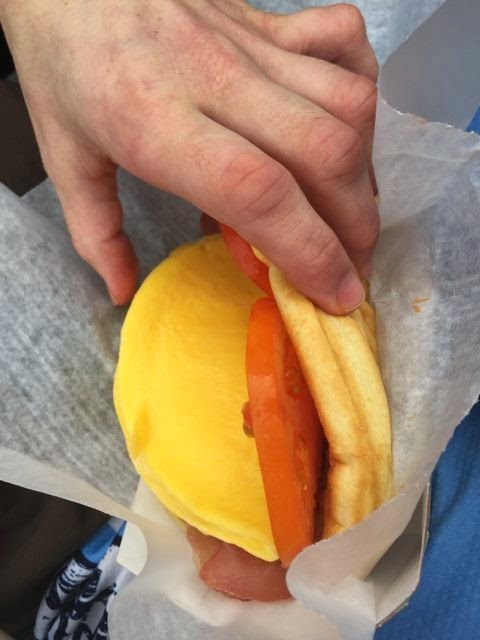 The first morning he tried the breakfast waffle with eggs, cheese, tomatoes, and prosciutto. He did not really like the prosciutto part; but he loved the rest and it’s easy to take off. 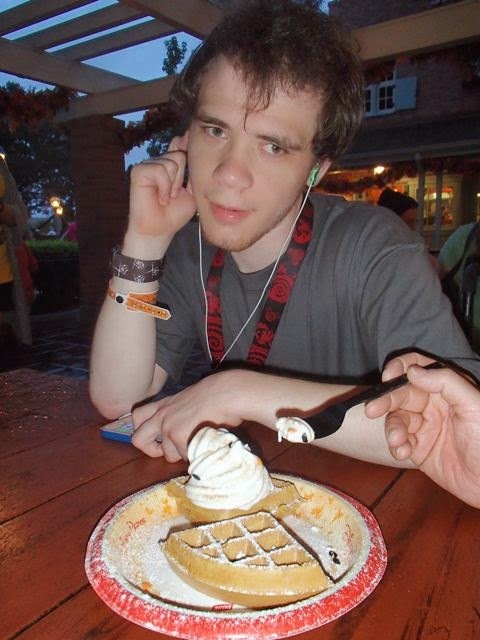 During the Mickey’s Not So Scary Halloween Party, Mik enjoyed the pumpkin spice waffle sundae.